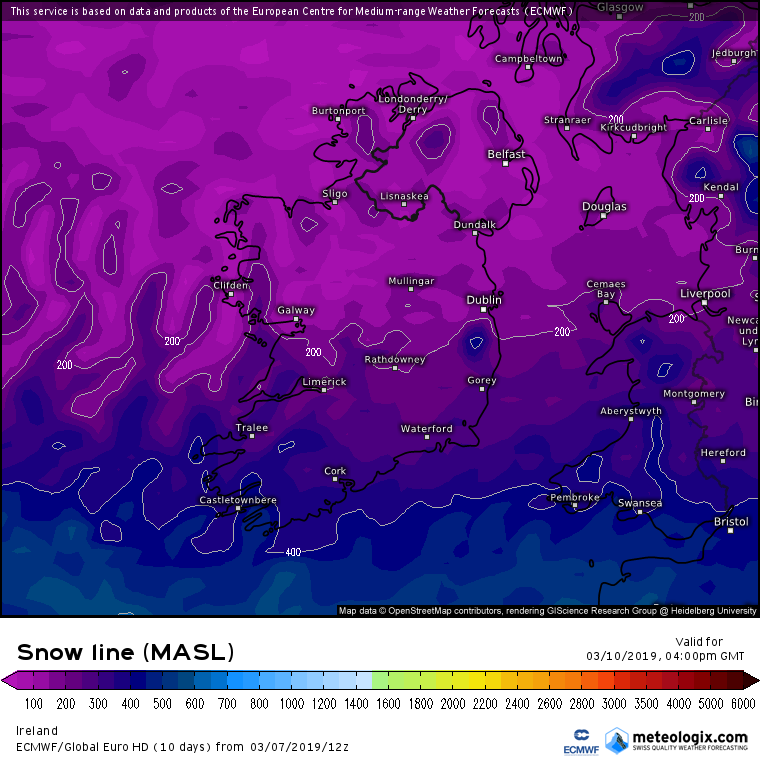 ECMWF leading the way again. The cooling down coming up over the next 5 days ( in general apart from a couple of brief interludes looking cooler after that also) . 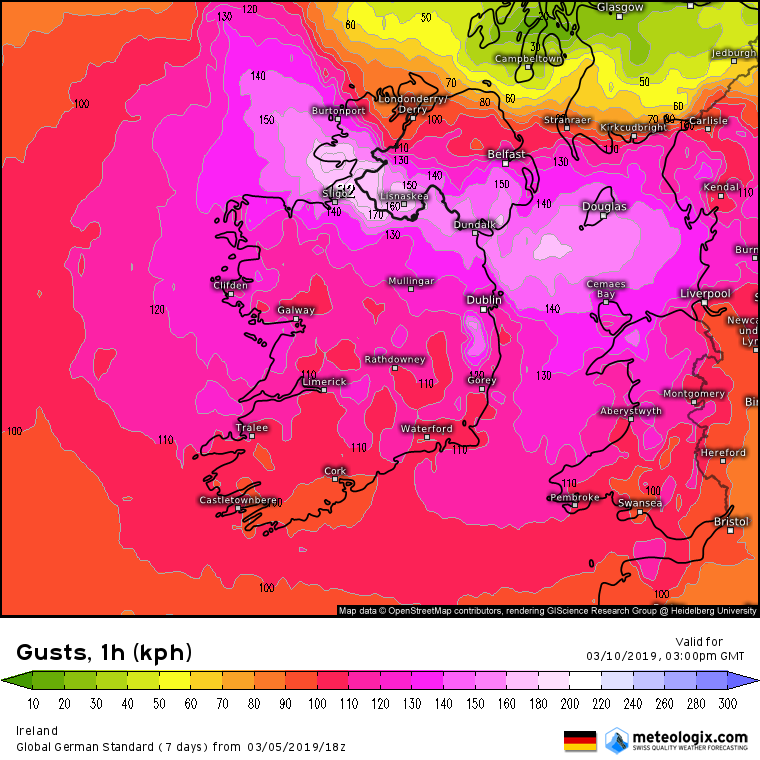 I'm intrigued to know which way the weekend will go as regards wind strength. ECM has been showing some windy weather and possibly very windy in the SW for a time on Sun, chopping and changing a bit. 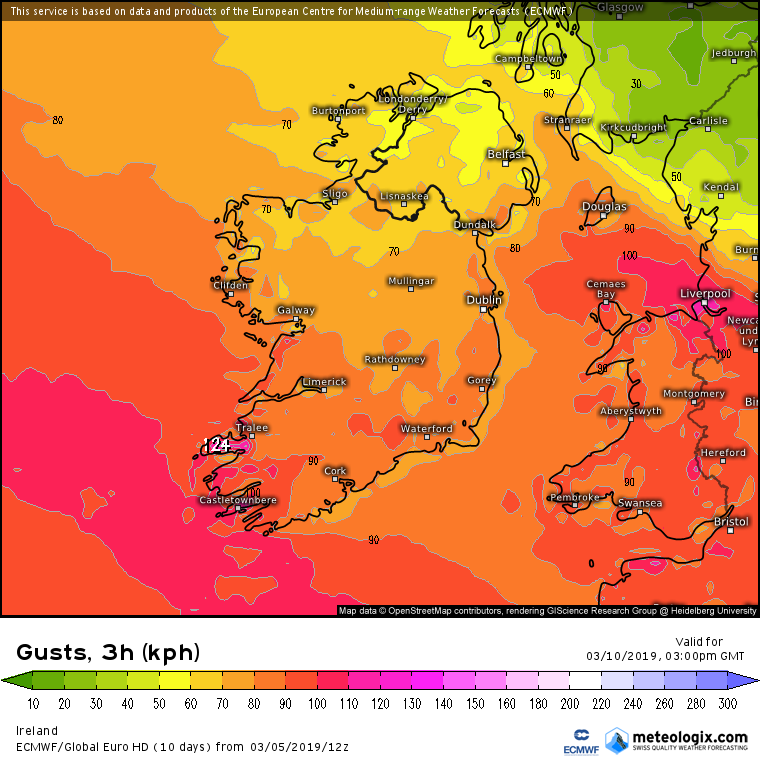 GFS was showing very windy in the SW , dropped it and back again for very windy in the SW on Sun. 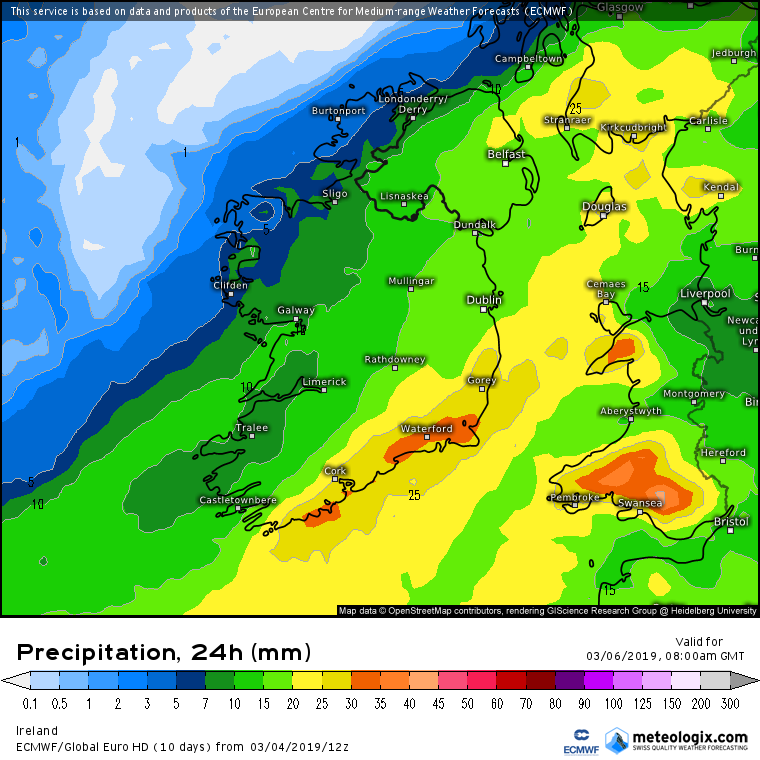 ICON showing some of the strongest charts I have ever seen for Ireland , but to be taken with more than a pinch of salt at this stage, more like a bag of it. A curiosity nonetheless. ICON has been showing a storm now for a few runs but taking different tracks and has been moving more N over the last few runs and getting stronger. For now I think just to note as could easily downgrade and drift more North. ICON has to be the outsider compared to the others. Will be interesting seeing the models come to some kind of a consensus near the time. Some cold and very cold uppers showing up for Sun next . 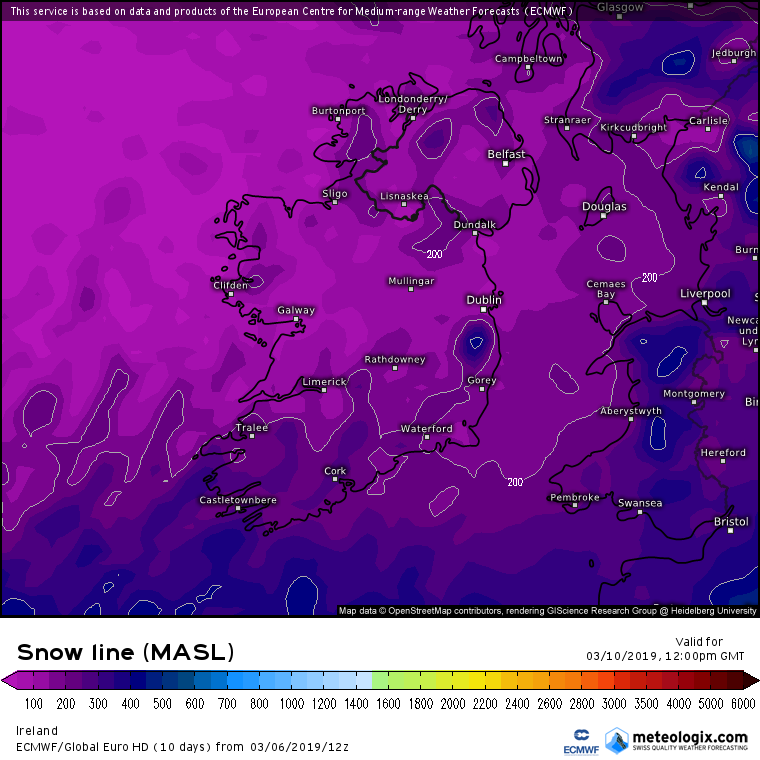 Most of the models showing wintry conditions and snow a possibility especially in Northern Counties. ECM beginning to show the same scenario for Sunday now over the last few runs. To me it looks like a front crossing the country late Sat / early Sun with wintry precipitation mixed in especially in Northern counties, windy weather following especially in the SW and looks like a day of wintry showers crossing the country with some of them showing up as snow , especially on high ground. Currently looks like Northern counties getting the most snow coverage which looks like it could fall on lower ground and could see some accumulations. Thundery looking also, should be some mighty cloudscapes . Looks like a windchill in the middle of the day of about between 1 or 2C in the far S to -3C or so in the N on Sunday in that strong wind. 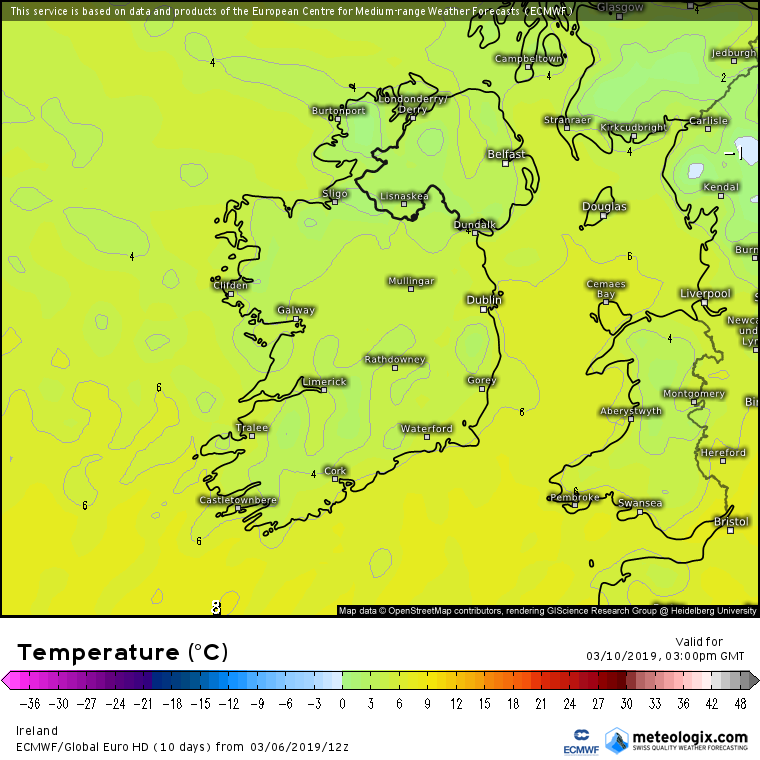 Frost and icy roads following into Monday more so on the Eastern half of the country perhaps. 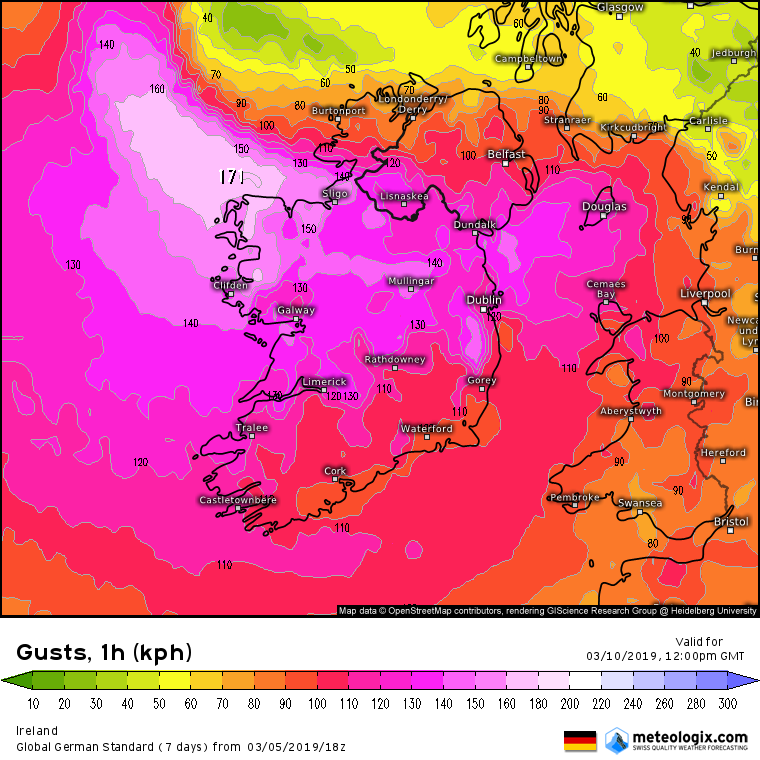 ICON dropped the storm of the century that it was showing for Sunday, throwing out various windy spells like Sat but strangely showing just windy for Sunday on the current run. 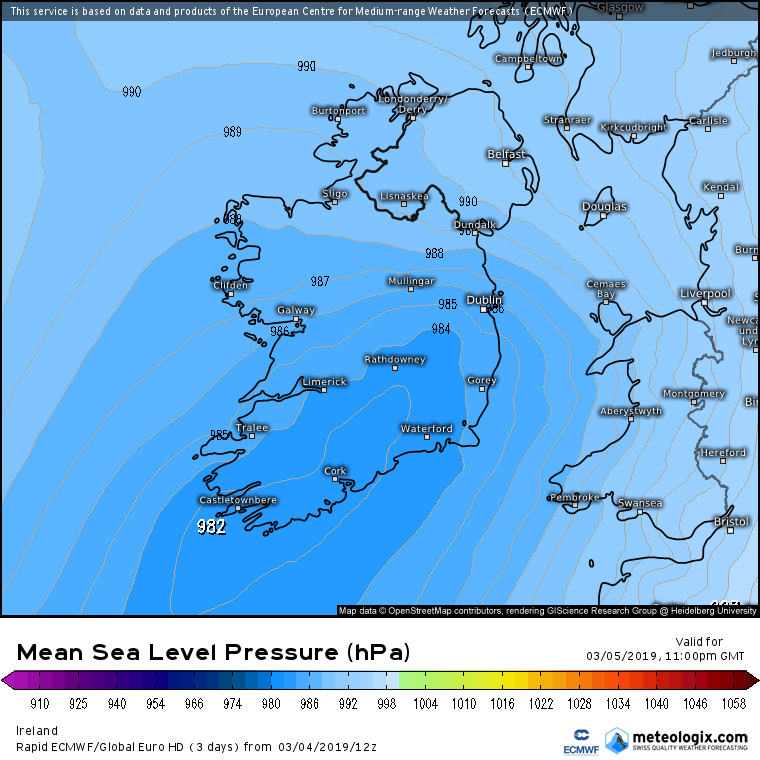 ARPEGE showing it quite blustery on Sat and Quite windy on Sun especially on coasts. 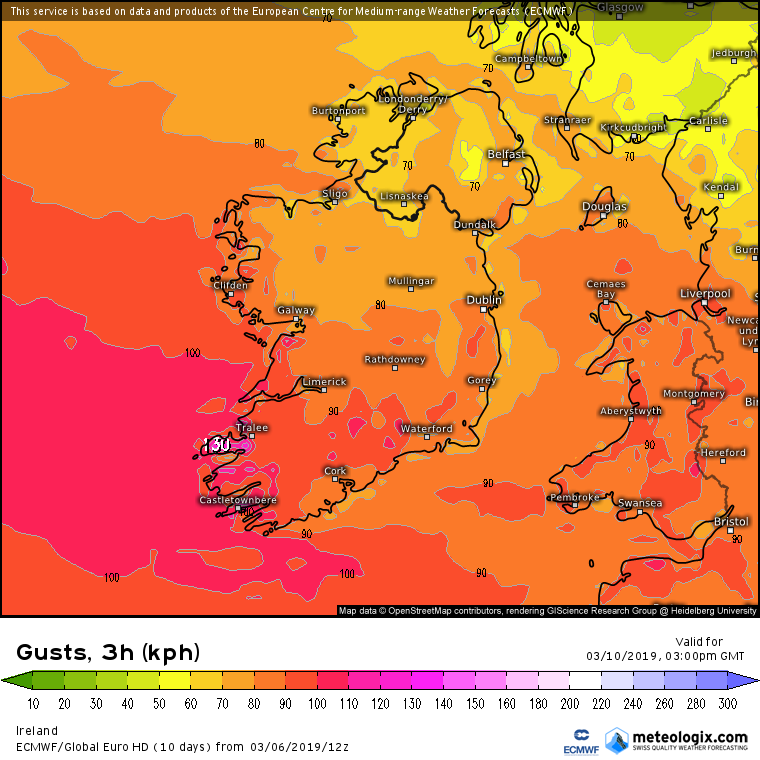 GFS quite windy on Sat and not so much on Sun. 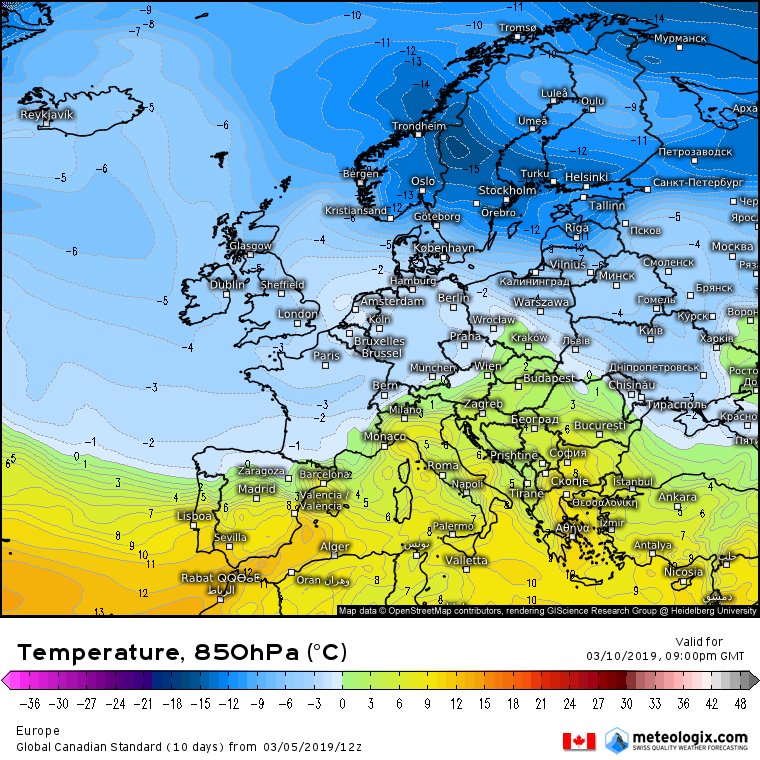 ECM looks the most consistent but cold easily change a bit closer to the weekend. Monday next all the models are showing the potential for some very windy weather, some more so than others but a lot of uncertainty yet. The early days of next week looking very unsettled and wintry. Is everyone waiting for someone else to start a thread for Sunday onwards? IMO ECM looks windy Sunday but not showing a storm. ECM showing the Jet more or less over us keeping the LP's North of us . Shows it to get windy Sat evening into Sunday and very cold. Later Sat into Sun showing wintry showers with snow showers a possibility. 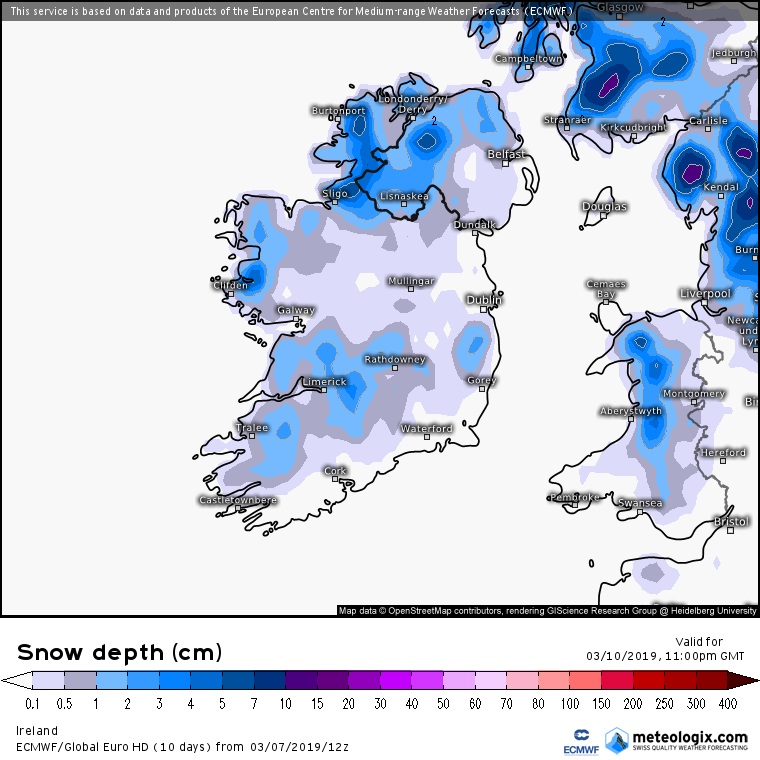 To me at this stage does not look as widespread as last Sunday , possibly accumulations on lower ground in the NW, N and on hills and mountains elsewhere, more so the Western half of the country. 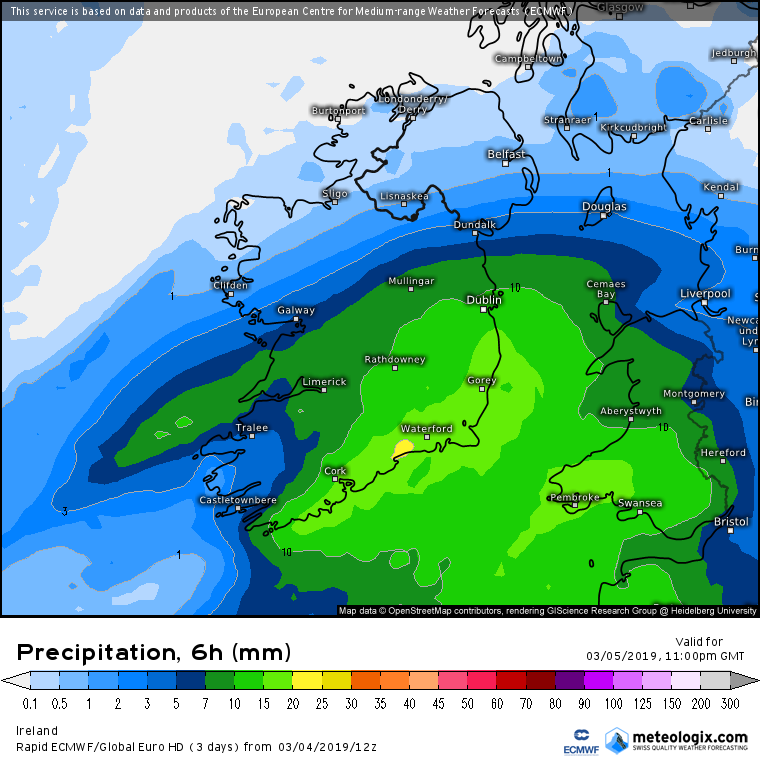 At this stage looks more showery Sunday, possibly more in the way of hail and graupel and thunder possible . Should have sunny spells also , more the further S it would seem. The ARPEGE storm is a mystery atm ? ARPEGE showing the Jet a bit further S. ATM the ECM is the one to follow for me. Definitely got my hopes up too early of a good storm! Excellent info as usual Meteorite. Can't post images on here anymore...must be getting old. Sleety_rain, intrigued by your username. Of all the weather to name yourself in celebration of!